Welcome to the March/April edition of essential-oil-goddess.com e-zine which aims to provide you with fun and interesting information about using essential oils in everyday life. Essential Bliss is dedicated to assisting you with your essential oil and aromatherapy questions. First, there were floods throughout Queensland (which was very close to home), then there was the earthquake in Christchurch, and now Earthquake, Tsunami and now a nuclear crisis in Japan. It has been devastating for so many, and I can't even begin to comprehend the anguish and pain felt by people who have lost their families, friends, communities, animals, lives...I ask you all to spend a moment to "Pray for Japan." One of the ways that I know how to help is through the power of essential oils. So this issue focuses on protecting our environment. Read below for more. Also, this month, you may have noticed that I have a combined edition of Essential Bliss for March and April. The next issue will be out in May 2011. I have some exciting plans coming up and if you would like to hear about them first, please join me on Facebook for all the news. I hope you enjoy this issue of Essential Bliss, I welcome your feedback! Please contact me if you have any questions or comments. Your feedback will inspire the content for future issues. If there is anything specific you would like me to answer or cover in future e-zines please let me know. Wishing you a blissful month! PLEASE NOTE: For an easy-to-view version of this newsletter, or past issues, please visit the essential-oil-goddess.com Backissues Page. You Are Invited to a FREE Seminar…. Discover wellness, beauty and abundance secrets using pure essential oils and coconut oil. Discover a beautiful moisturiser and a cellulite blaster! Experience abundance in your life by doing one simple thing. Take home new ideas and inspiration and discover the Goddess of Magic every day! Jen is an author, qualified aromatherapist, counsellor and teacher. She is an essential oils specialist in Raindrop Technique and Egyptian Emotional Clearing Technique. Jen empowers people to use the purest and natural essential oils for themselves, their families and their pets for their own health, beauty and wellbeing. Jen works from aromatic medicine principles and believes that using high quality essential oils gives high quality and rapid results. This is the work of the goddess! Jenni is an entrepreneur whose journey has taken her from the strategic and corporate business world of branding and creative marketing, to a career in the development health consciousness. Her personal mission is to enhance the quality of life individually and collectively. The discovery of organic coconut oil in Thailand was a catalyst in giving birth to her mission and her company Coconut Magic. Her message is for us to embrace a holistic approach to healing by using healthy foods, body mind medicine and a return to Nature for our own personal empowerment. TO BOOK: Call Jen on 0401089233 or book here. A blissful way to learn more about essential oils, and discover new ways to help yourself and others. Topic 1: How to Connect with Someone You Love (or Yourself!) without Saying a Word Learn how to connect with family and friends on a deeper new level to enhance your relationships. Lorna Russell is an essential oils specialist in Raindrop Technique and Egyptian Emotional Clearing Technique. She also has qualifications in Social Science. Topic 2: Anxiety 101 Linda Taylor shares with us an amazing story about her daughter’s anxiety and how essential oils have supported both of them! Hear about the life changing essential oils and the application protocols Linda used to help her daughter through her anxiety. Linda Taylor breeds and shows paint quarter horses, and while initially learning about essential oils for her horses, now uses essential oil in all aspects of her life. Topic 3: Essential Response for Humans…and Animals Discover health boosting essential oils, useful for many situations. Which essential oil is useful to deep wounds, lifts the mood, supports healthy skin, which one has antibacterial and antimicrobial properties or which is beneficial for soothing both head and muscle tension? Find out these answers, and more! Linda Skerret (an experienced horse trainer) will also share her story about working with traumatized horses with amazing results! Topic 4: Abundance Secrets Do you want some abundance? You will experience one simple thing you can do to bring more abundance into your life. You will also learn about the most important essential oils to move you from scarcity thoughts to abundant thoughts. Jen is an author, qualified aromatherapist, counsellor and teacher. She is an essential oils specialist in Raindrop Technique and Egyptian Emotional Clearing Technique. Courses in Australia, United States and expanding! Please contact me ASAP if you are interested the following courses. NB. Level 1 Raindrop Technique and Egyptian Emotional Clearing Technique - no prerequisites required. More courses for 2011 are to be announced. For all enquiries please call Jen on +61 (0)401 089 233 or contact me. Please mention the course you are interested in and preferred area. My experiences with essential oils and their power show that humans and horses respond amazingly to essential oils. "The treatment was incredibly relaxing and resulted in the best detox I have ever had." "I went home and treated our lame pony with the oils that Jen suggested. She was walking around this morning better than she has in months." "My experience from the massage is instant I get relief from any aches or pain, I definitetly feel more alert and energized." "I really loved my Egyptian Emotional Clearing Technique - Afterward I felt soooo relaxed and I am looking forward to my next treatment." ...then make an appointment today - it may be just what you or your horse need (I also provide consultations by Skype or phone). Contact me for bookings or enquiries. If you have never used Young Living Essential Oils before OR it has been more than one year since your last order, I invite you to experience a 20 minute relaxing vitaflex session with me for FREE. I will intuitively use essential oils then apply them to your feet using vitaflex which is a form of ancient Tibetan Relexology. This offer is for Essential Bliss readers only. For help with ordering: Go to the Young Living Website choose your country and browse the many essential oils, nutrition (I highly recommend Ning Xia Red) and other products. Choose a wholesale account (you get 24% discount every time you order and an option of being an independent distributor) and place your order, including your essential rewards order. It is that easy and Young Living will send to anywhere in the world. PS. When prompted for an enroller/sponsor number please use mine - Essential Oil Goddess 956246. Thanks! I would be pleased to help you personally. Please call Jen on +61 (0)401 089 233 or call me on Skype (username: jengallagher.au) or please use this contact page. Gift Vouchers are available by clicking here to give a blissful and unique present for yourself or loved one for any occassion. As you have undoubtedly heard, Japan is currently suffering from the effects of a massive earthquake, which in turn created a devastating tsunami. 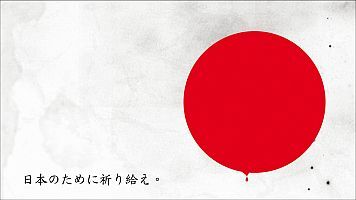 Our thoughts and prayers are with the people in Japan as they cope with this catastrophe. Beyond the immediate impact of this disaster, several nuclear reactors on the eastern coast of Japan have been compromised. Radiation exposure can have devastating health consequences, a fact I learned during my extensive research on the Chernobyl disaster in the 1980s. As happened with Chernobyl, there are concerns that any leaked radiation from one or more Japanese nuclear reactors may be carried by air currents across large portions of the globe. Japanese authorities are working to repair these reactors and contain the radiation. However, the true extent of these leaks is not yet known, and they could have the potential to affect people in Japan and across the world. Knowing this, we can take prudent precautionary steps to protect ourselves and loved ones from potential radioactive effects. I will safeguard our home with the powerful air-purifying and DNA-protecting properties of Young Living essential oils. Combine the oils in pairs when diffusing (for example, Melrose with Sacred Frankincense or Sacred Frankincense with Purification). Melrose is a particularly powerful blend because it contains two melaleuca oils that may protect cells from radiation damage, according to Dr. Daniel Penoel in l'aromathÄ-rapie Exactement. Another sensible precaution is to wear an inexpensive dust mask saturated with the above oils while you are outside or traveling. While science has not yet made a demonstrable link between diminished radiation effects and essential oils, I believe in doing everything possible to protect my family using natural means. These products may have a synergistic, protective effect on your hormonal and immune systems, and I suggest sending these to friends and family in Japan, as well as using them personally in your home. It is not my intention to alarm anyone or cause undue concern over the developing situation in Japan. However, I strongly believe in being proactive and using readily available resources at our disposal to safeguard our health and those we love. 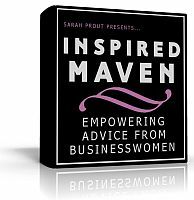 Learn the Secrets of 15 Inspired Mavens (including me!) and their business success. Do you have a health issue or something going on in your life and want to see what oils other people are using? There is a fantastic website called Oil Testimonials. I highly recommend this website! You can search testimonials and you can even have a look at the testimonials I have added or join (free registration) and add your own testimonials. Are you wondering how I built my website and sent my e-zine? I did it all myself with no prior technical skills! The secret is Site Build It! I love working from home, you can find out more below. SBI! is an educational system that includes EVERYTHING you need for one low price so you can do it all yourself. Valor means "inner courage" and this essential oil blend seems to do just that. I love using Valor any time I feel I need that little bit extra inner strength to get through the day and it smells divine! Valor is also known as "the chiropractor in a bottle" as the blend is the same frequency as the skeletal system of the body. The Essential Oils Desk Reference states that "Valor balances energies to instill courage, confidence and self-esteem. It helps the body self-correct its balance and alignment." Valor is a wonderful wonderful blend to perform a Valor Balance. My 14 year old son uses Valor for his headaches (although he doesn't get them very often anymore). he just uses a couple of drops on the back of his neck, when the headache starts and it is usually relieved within a minute or two. he even took a bottle on his Year 8 school camp. He was the only kid without a paracetamol permission form! If you liked this ezine, you are welcome to forward to friends. Thank You. If a friend DID forward this to you and if you like what you read, please subscribe by visiting my subscription page. In the meantime don't forget to visit my contact page if you have any questions, comments or to enquire about my special offer. Also, if you would like to find out more about therapeutic grade essential oils, please contact me and I would be happy to discuss with you further. Disclaimer: The entire contents of this newsletter and the website essential-oil-goddess.com are based upon the opinions of Jen Gallagher, unless otherwise noted. This information is not intended to replace a one-on-one relationship with a qualified health care professional and is not intended as medical advice. It is intended as a sharing of knowledge and information from the research and experience of Jen Gallagher, who encourages you to make your own health care decisions based upon your research and in partnership with a qualified health care professional. Jen is an independent distributor 956246.